I have a friend who who lives in Washington state and is financially comfortable and single. He spends his money on concerts. . .lots of them. In fact, at the beginning of the year, he fills his schedule with concert dates for the year. Being single, he even buys multiple tickets and invites his friends. I live in Utah, so I don’t go to concerts with my friend. But, that doesn’t mean I don’t go to concerts. I go to a lot of concerts. And while I pay a lot less for my concert tickets, I think I probably enjoy them a lot more. And it has to do with personalization, or how they relate to us. The same concept can be applied to project meetings, or team meetings, or even company meetings. Like anyone who’s held a job for at least a month, I’ve been to meetings. Lots of meetings. No business is immune. From IT to fast food, everyone has sat through a meeting where the person in charge drones on and on about a topic that while important, is just not that interesting. Want to make your meetings more interesting? Follow my concert plan. Personalize them. I regularly sit through meetings where we discuss numbers and statistics. I love statistics, but they are boring. No one ever got excited by seeing an 2% increase productivity on an Excel spreadsheet. At our call centers we talk to tens of thousand of people every day. Two percent of ten thousand is 200. I can talk about the value of increasing our efficiency by two percent, or I can talk about helping an additional two hundred people. We provide services. Helping two hundred more families today than yesterday is kind of a big deal. Imagine if you were providing life saving services. Helping two hundred additional people get clean water, or good housing or a warm meal is kind of a big deal. But, maybe you don’t work with 10,000 people a day. So, your two percent isn’t a couple hundred people. Does this example work if you interact with only 1,000 people? Or 100? Or 50? It’s not the same. It’s better. Two percent of 50 is one. Your company cares very much about its products, or services, or processes. If your improvement is a single individual, that becomes your story. Make it personal and you will make it memorable. The population of Utah recently reached 3,000,000. Yes, I know that my entire state has fewer people than soem of our large cities. I didn’t learn that we have 3,000,000 Utahns because I saw a table of Utah population growth. I saw a newstory. But, the story wasn’t about the demographics. It was about the governor visting a local hospital to welcome the 3,000,000th resident of the state. If you want them to remember it, make it personal. Tell stories. Use personal examples. Give your numbers faces and names and backgrounds. Ten thousand men dying in battle is a statistic. One man being run over by an ox cart is a tragedy. My friend in Washington goes to see the cool bands. The new groups that are touring now, and the bands from our youth that we never could afford in high school. I don’t go to those concerts. But, I go to a lot of concerts. In fact, I went to one yesterday and I’m going to another tonight. Tonight I’m looking forward to hearing one of the violinists. 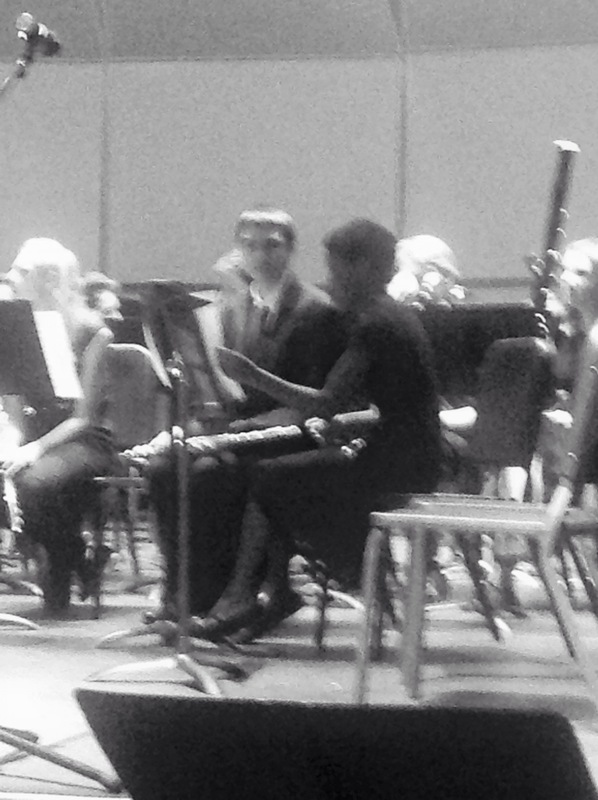 Last night it was a half full concert hall to listen to a wonderful young clarinetist. If you want them to remember it, personalize it. You can’t get much more personal than this.